HEADS UP! Instagram deprecated Realtime subscriptions for tags on Nov 17, 2015 so it’s no longer possible to follow along with this tutorial. This article was peer reviewed by Jamie Shields, Edwin Reynoso and Tom Greco. Thanks to all of SitePoint’s peer reviewers for making SitePoint content the best it can be! Instagram is an online photo sharing network that enables its users to take pictures and videos, and share them on a variety of social networking platforms. Users can personalize each photo that they upload (for example by adding various effects) and categorize them with a hashtag. In this tutorial we’ll be building a real-time photo update app. This will allow users to enter a hashtag to which they would like to subscribe. Then, every time a new photo with that hashtag is posted to Instagram, it will be sent to our app which will display it accordingly. We’ll implement our app in Node.js using Express as the framework. The real-time part will be implemented using Instagram’s Real-time Photo Updates and Socket.io. As ever, the code for this tutorial is available on our Github repo. First, your server sends a subscription request to Instagram. Instagram receives the request and verifies that you really want to subscribe by sending back a response which your server has to send back. Your server receives the data and sends it back to Instagram. If the data is the same, Instagram will start sending notifications to your server. There are four types of subscriptions from which you receive real-time updates : users, tags, locations and geographies. You can read more about each of these in the documentation. In this tutorial, we’re only going to use the tags subscription. This allows you to receive notifications when a new photo is tagged with whichever tags you specify. 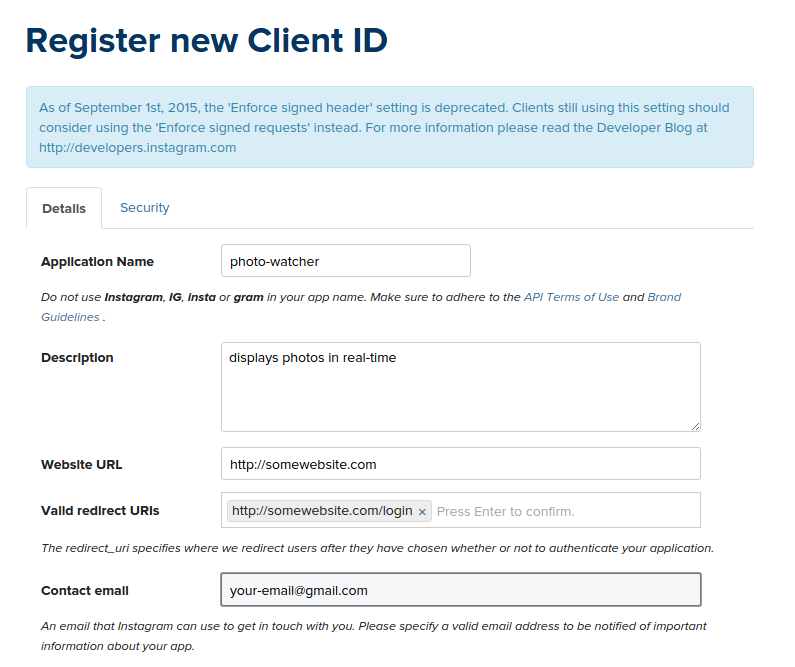 The first thing that we need to do is to create an Instagram account then register as a developer. Next, we need to register a new Instagram app. You can put any valid URL for the website and Redirect URL as they are not needed for our app to function properly. Once the app is created, take note of the CLIENT ID and CLIENT SECRET as they will be needed later when making requests to the Instagram API. The next thing to do is clone the repo and install the dependencies using npm. Express is the de facto standard web application server framework for Node.js. It is used for serving the public-facing side of the app as well as receiving photo notifications from Instagram. Express Handlebars is used for implementing views in Express.js. body-parser is used for parsing the form data submitted by the user. In this case, the data is the tag that the user wants to subscribe to. instagram-node-lib is a Node.js library for working with the Instagram API. Once we have the tag provided by the user, this library is used to subscribe to the tag. socket.io — after subscribing to a specific tag, Instagram sends notifications to the server every time a new photo is posted with the tag that we used. This is where socket.io comes in. It is used for sending the photo data to the front-end every time a new notification is received by the server. moment is used for formatting the timestamp provided by the Instagram API. Now we’re ready to look at the app. In app.js we first need to require the dependencies we installed. Now, that we have required the necessary dependencies, we need to set the Instagram CLIENT ID and CLIENT SECRET. You will replace these values, with the values generated when you registered your app. Once we have our ID and Secret configured, the next thing we are going to do is create a server instance that will run on port 4000. You can check if the server has started running by using console.log to output the host and port. Next, have socket.io listen to the Express server. This binds socket.io to the same port as your Express server, so that later on you can use port 4000 when you connect to this socket on the client side. Now let’s move on to creating a new route for the home page of the app. All it does is render the home template. Every time a new photo which has that hashtag is posted by any Instagram user, it will be immediately displayed by the app inside the div with the id of results. Bootstrap is a front-end framework. This is my personal choice for almost every web thing that I build. If you also want to use Bootstrap, you can find free themes at bootswatch.com. jQuery is used for manipulating HTML and listening for click events on the page. It’s also the dependency of the 3 libraries below. jQuery BackStretch is used for making the current photo into a full page background image. The jQuery Image Preload plugin is used for preloading the image before showing it to the user. Livestamp helps keep the timeago text current when no new photo is received from the server side for too long. Vague.js applies a blur filter to the background image. handlebars is used for generating the HTML to be used for displaying photos. moment is used for displaying timeago text based on the timestamp. You could also use bower to download and manage these assets. If you so chose, be sure to update the .bowerrc file so that it uses the static directory that you specified. With that out of the way, we’re now ready to create the script.js file. Inside of the file script.js is where all of the front-end action happens. Here, we need to use jQuery’s $.get function to fetch the handlebars template from the server. Once it has been fetched, it then must be compiled and stored in a variable. This is the template used for constructing the HTML for displaying the photo. This contains the code for displaying our application’s photos. Back in script.js we need to connect to the socket.io server. When the start button is clicked, we need to send the hashtag entered by the user to the server. Once this is successful, we want to hide the form, and show the photo container. Back on the server-side (in app.js), our app needs to unsubscribe to all current real-time subscriptions, and then subscribe to the new hashtag that the user has provided. We can do this by making use of the subscribe method in the tags object provided by the instagram-node-lib library. Once the server has received a valid response from Instagram, we then send a response that the subscription has been completed. When Instagram receives your request to subscribe to a new tag, it sends a GET request your callback URL. This request contains a query parameter. All the server has to do is to send it back to Instagram for the verification to pass. Every time a new photo with that tag is posted on Instagram, it automatically sends a notification to your server. This time its a POST request to the callback_url that you specified (you will have to change this in the deployment section). Note that this request doesn’t contain any data about the posted photo. It only contains data about the time and the subscription from which it originated. That is why you have to make a separate request to get the recently posted photo. Once a response is returned, create a new object named photo and then store all the data that you want to return in a new variable. In this case, only the following is needed: username, profile photo, the timestamp with which the image was posted, the URL of the photo, and the caption text. Lastly, inform the client-side that a new photo is available. Going back to the client-side (script.js), let’s use the jQuery Image Preloader Plugin to preload the image when a new photo comes in. This will fully download the image on the client-side before showing it to the user. Once the image has been preloaded, construct the new HTML using the template and the photo data. Next, we’re going to make use of the jQuery Backstretch plugin to set the image as the full page background image, as well as vague.js to blur the background. After that, you can append the HTML to the page and then show it with the fadeIn effect. Finally, remove the last image that was shown. As we begin to wrap things up, let’s quickly add some CSS to our application. You can see this in public/css/style.css. View the file on GitHub. This exposes the Express server to the internet. Be sure to change the callback_url in the app.js file, to use the https URL that ngrok returns. If you plan to deploy an app later on, it should also be an https URL. Once the user has subscribed, the app will start receiving photo data from the server via socket.io and then display it. If you want to experiment with this app and make some of your own changes, you might want to look into nodemon. This automatically restarts the server every time you make a change to your Node application and is very handy for development. Then there’s the question of persistence. Once you’re happy with things, and if you’re on a Unix-based system, you can install Supervisor on your server. This allows you to run the app persistently. Simply running the app with nodemon wouldn’t suffice, because the process is terminated the moment you log out of the server. That’s it! 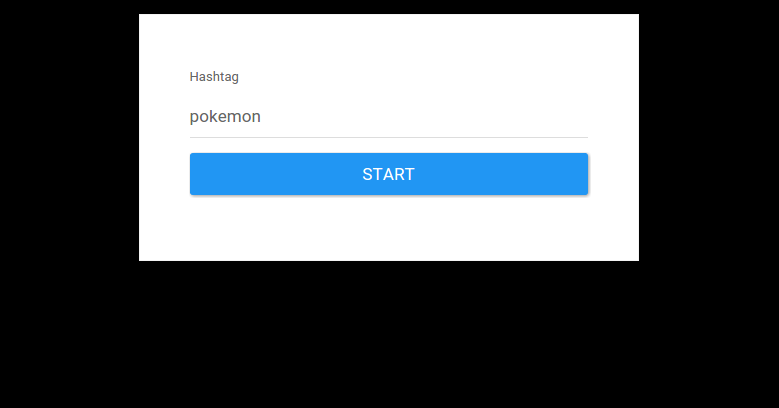 In this tutorial, you’ve learned to work with the real-time capabilities of the Instagram API using socket.io. Just keep in mind the limits, namely the API calls that you can make to Instagram (which means that the number of users who can subscribe to different tags is limited — especially if the tags are popular). If this is the case, then the server is going to receive a lot of notifications from Instagram and the number of API calls that you can make are going to run out easily. Other than that, you’re free to use the Instagram API however you like. There are lots of other possibilities with this API, you can embed Instagram posts or integrate it with your mobile applications. As for our app, a perfect use case would be at an event, where you ask the participants to post photos with a specific tag. The event organizer could subscribe to this tag and project the app to a screen, so that everyone can see the photos being shared. I’d love to hear your thoughts about this app and the Instagram API in general in the comments below. 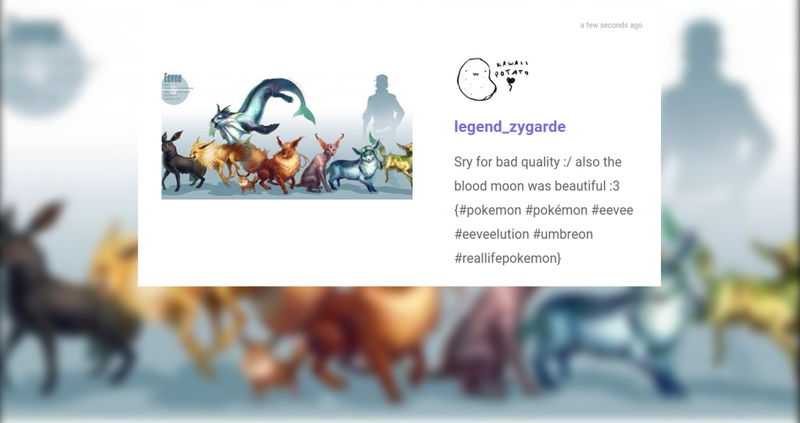 Wern is a web developer from the Philippines. He loves building things for the web and sharing the things he has learned by writing in his blog. When he's not coding or learning something new, he enjoys watching anime and playing video games.